Hello, today I will be writing on how to install a clockwork mod (cwm) recovery image on any Gionee phone. And how to do a ROM backup. If you’re the type that like cool features in the phone, or if you’re the type that enjoys pimping of phones(Android). To unleash its full potentials and abilities, I will advise you to follow this step to avoid bricking your phone when tempering with its software. We will give a tutorial on how to install the recovery with two different application you can use any one you like. Your Comment will encourage us to do More Always comment when you get Recovery you want..
with this i can make twrp recovery for you. Twrp recovery for gionee elife s7?? I guess I am very lucky to find this post. I did a stupid thing… I flashed another MTK6753 phones' recovery into my Gionee M5 Plus (gn8001). Did that with Mobile Uncle. I am lucky the telephone is still working but the recovery is not (it just reboots the phone instead of entering into it). Please, if you can, put an M5 Plus recovery here so I can flash it again with Mobile Uncle (as I do not have ANY recovery now this is the only method I can use). with this i can make recovery for you. Ok, please chat me so that i can see you. need twrp for gionee s6 pla kindly if u can have a look at it ? tnx for reply, i can send them in ur mail? hi bro, sorry but i d'nt find how to send you the files,the case "contact us" show me for the page am looking d'nt exist, and d'nt find ur mail address. download d emmc files from d blow last link..
i ziped it and uploaded dem der..
but came up with that 5.0bytes each.. Please Give me Gionee P3S custom Recovery Please upload it…..
how could i backup gionee m5 min custom rom in recovery mode plz hlep. Are you on custom rom or stock rom? Mail me your stock recovery so i can work on it. first what version is the phone and mtk no. There is image for gionee m5 mini abobe… Does it really work?.. I mean there is no any other sites that promises images for gionee phones.. So kinda scared. How should I create twrp on elife s5.1 without sp flash tool. please send/mail me twrp recovery for gionee m5 plus…. Sorry bro it worked when I flashed it again…I really very sorry for complaining……and a really huge thanks for recovery it worked smoothly…….every thing in recovery is working….thanks again…. Kindly share the M5 recovery with me. Thanks. Kindly share the M5 recovery with me adrusa@msn.com. Thanks. 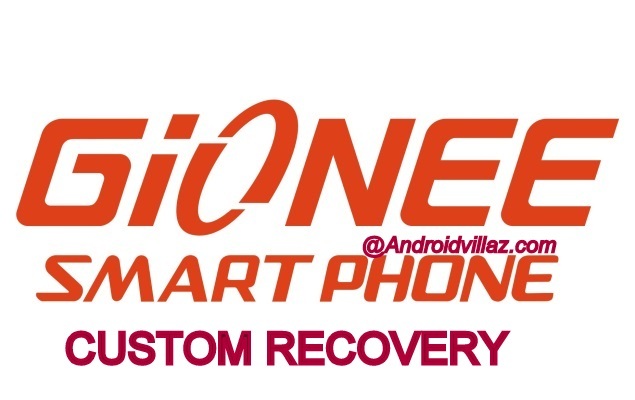 Please upload custom recovery twrp for gionee f103 pro. i will work toward that. Hii will you please provide TWRP Recovery for my Gionee F103 Pro. I searched it everywhere and not able to find it. I hope you would help me please provide it. Gionee M5 Lite Custome recovery working good but it fliped 180 degrees. send us your stock boot, recovery and scatter of your device to our mail so he help you out. Can u develope cwm recovery for Gionee M5 lite?? The recovery is not corrupt use it let that..
hello.i flashed ctr in my gionee p2 using flashify. but when i reboot phone from ctr it replaces with stock recovery 🙁 . why?? please help me..
Can you please help with custom recovery for Gionee M6 Lite my Gionee is not rooted. how do i get the stock recovery and scatter file? Please send twrp recovery of gionee s plus because it is not in the list. plz send me CWM and CTR recovery file link. the given link is not working now.